So… I wanted to show you a couple more things from this August stamp club… first of all, we had a visitor! Jane came all the way from Canada to come to our club. Well… not really. She came here on vacation and it happened to coincide with club. She and here husband were celebrating their 40th anniversary. Incredible. She was the 2nd demonstrator in all of Canada! This past convention, SU! celebrated 10 years in Canada. Pretty neat. We had a good time with Jane. Its always fun to get together with other demos. We can share lots of tips and tricks. The keep calm phrase. It’s everywhere. But fun. I love this hostess set!! Well.. I should get back to uploading… can’t wait until my new mds projects come!! I made an 8×8 scrapbook and my new business card. Both made me want to scream. I went to convention where I learned about the LOVELY MDS2. I will post some other projects later! I’m having tons of fun!! Talk to you soon!! And happy digital stamping!! I just love this stamp set. I actually like all the Ronald McDonald sets. They are alway very versitile. This frog makes a great boy’s birthday card. The little curly-q stamp just exudes energy. 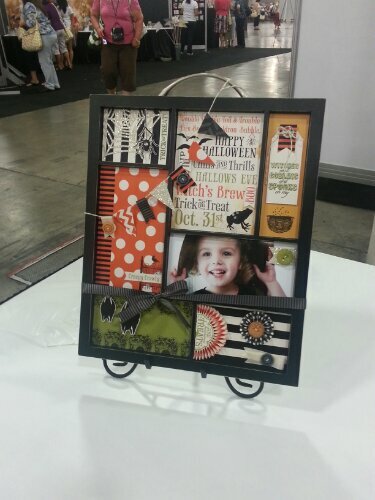 And this one we made at our Maui Stampers Team Meeting. It was a case of a swap we got at convention…. hey… if it is good… might as well just go with it! Makes you wanna b a Maui Stamper doesn’t it. Weeelllllll…. whatcha waiting for?? Finally…. things have settled enough to get a post made. School is in full swing and it’s shaping up to be a busy year. Also… in August, MDS2 was released!! Now, you are able to download a 30 day free trial of MDS 2 to see how you like it. I’ve already played with it. And, I LOVE it. A gigantic improvement over MDS 1. I have some projects I will post next time that I made with it. I’m currently working on a friend’s wedding (invites, favor tags, signs, table numbers…) Lots of fun stuff. And, as a way to promote MDS 2, Stampin’ UP is giving 31% off select MDS downloads and ALL the print products ordered through them (not including bulk pricing, but this is cheaper anyway, so you don’t need the bulk pricing).